Beautiful travel stock photography from around the Netherlands, including North Holland, Kinderdijk, and the Keukenhof tulip gardens. European travel photos from Kasteeltuinen Arcen Gardens near Venlo in the Netherlands. 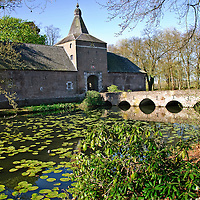 These beautiful gardens display a riot of colourful flowers in the spring in various theme gardens. 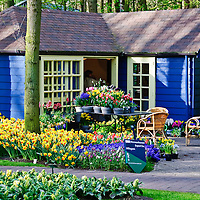 Keukenhof Gardens in Lisse, the Netherlands, is the largest spring bulb garden in the world. 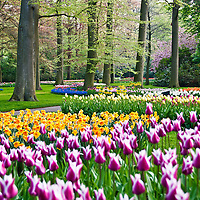 The thousands of tulips in Keukenhof draw millions of visitors to South Holland each spring. 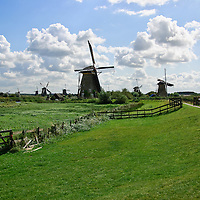 There are 19 traditional Dutch Windmills at UNESCO World Heritage site, Kinderdijk, The Netherlands.